Mangale Budha and his wife Furki. 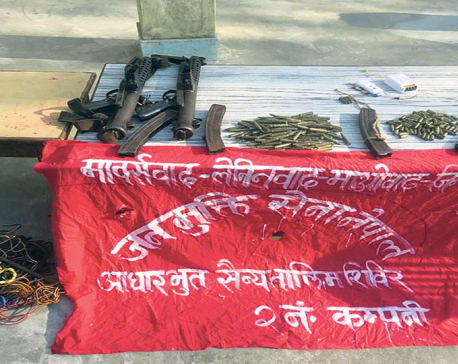 ROLPA, Jan 21: As many as 73 youths of Jelbang sacrificed their lives during the decade-long Maoist insurgency. This village constitutes mostly of people from the Magar and Dalit communities. During the conflict era, this village hosted most central and other members of the party who here hiding their heads back then. People here are known for their innocence, loyalty and hard work. Despite that, they have not been able to witness progress and development because of difficult geography, lack of arable land, illiteracy and unemployment. More than 120 villagers became disabled due to the Maoist war. There is a martyr's family in Jelbang that has been struggling for two square meals a day and ailing in lack of treatment. "My husband is bed-ridden since the onset of monsoon. For a few days, his legs have stopped moving. He can't even eat properly," said Furki Budha, 75, referring to her husband Mangale Budha. Since the army killed their only son Bhuwan during the insurgency period, this couple has been living a tragic life. "We can't afford his treatment and have no one to count on for help," Furki added. After reading news articles depicting the misery of this couple last year, former Speaker Onsari Gharti and her husband, as well as the Minister for Energy Barshaman Pun, built a house for them. "We are grateful that we were provided shelter. But I don't think we will survive without food or medicines," she added. On Friday, former Speaker Gharti and Minister Pun reached the district for the inauguration of the house they had built for the old couple. As he could not stand straight due to his illness, an overwhelmed Mangale joined his hands and kept thanking the couple for their help. Tears kept flooding from his eyes. Eighty-one year Mangale had once been to the district headquarters Liwang for acquiring citizenship but has never been to any other village since then. In his eight decades long life so far, he has never worn slippers nor has traveled in vehicles. On February 12, 2003, security personnel killed his 22-year-old son. "Two of our daughters eloped and our younger daughter died of birth complication. The army killed our only son. Now we are waiting for death," said Mangale, in a low voice. 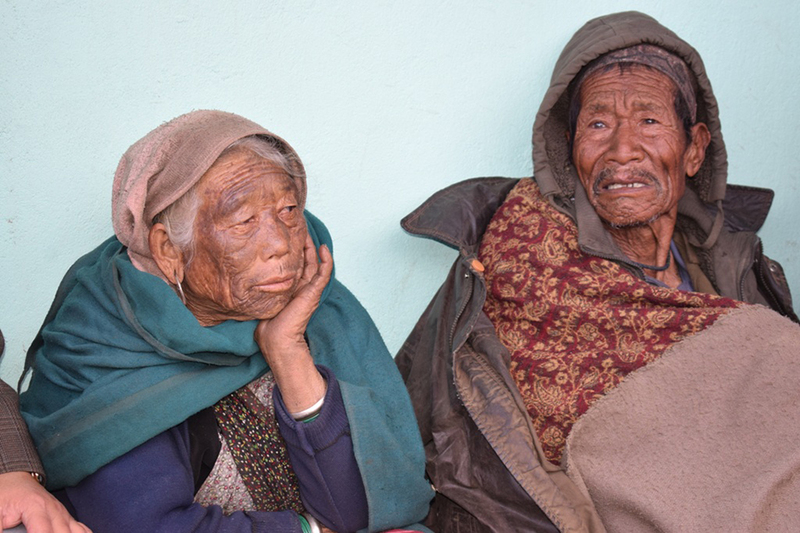 Due to the lack of a proper income source, the government-provided allowance has become the only source for buying food and medicine for the couple.In Rolpa, there are so many martyrs' families which have been living miserable lives in the absence of anyone to look after them. Meanwhile, ward chief Tika Bahadur Budha assured to do something for Mangale and his wife. "We will hold a discussion and do whatever is possible for this couple," said Chairperson Budha.